The choices at Encore Las Vegas when it comes to food are some of the best in Las Vegas. What are you craving? Steak, Asian, Italian or French? They are all very good and they have marquee chefs to lure you in. If you have chosen Encore as your hotel there is a pretty good chance you already knew that eating is way up on the list of importance for the Wynn Hotel brand. Aside from incredible nightlife at the Encore Hotel, you'll also get some of the best options when it comes to keeping yourself fed. Remember that Wynn Hotel is adjacent to Encore so you really get all the food options at both so make sure to check out SW Steakhouse, Lakeside Seafood, La Cave, Country Club and Costa Di Mare all located right down the hall. If you love to eat drink and stay up late experiencing Las Vegas you have made the right choice. One negative is the lack of easily accessible fast and convenient food if you are on the go. For that, you can walk across the street to Palazzo Las Vegas and the superb food courts and casual options available there. If you're a fan of both Frank Sinatra and Chef Theo Schoenegger’s work at Patina in Los Angeles, it will be well worth it. One thing you get with Encore Restaurants is the guarantee that you are getting very talented people doing extraordinary things with food. 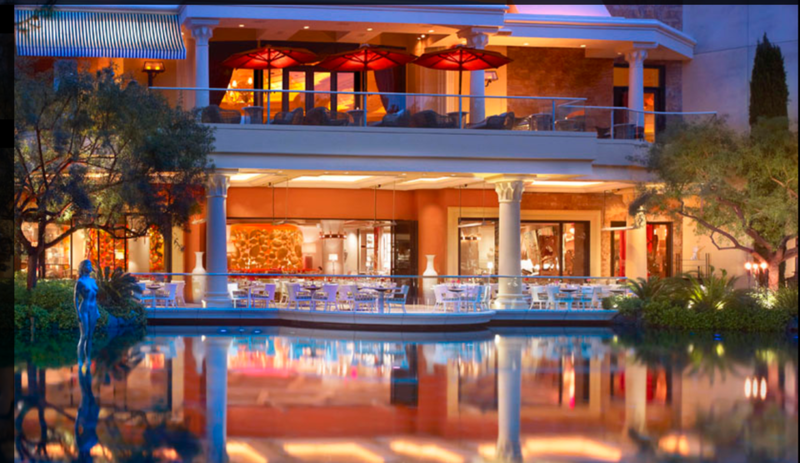 Breakfast, lunch, and dinner they do it all and they impress you with the quality that is expected from Wynn Las Vegas. The vegan options are impressive. As an afternoon spot, the natural light that fills the room fills like a resort in a tropical paradise. The menu is inventive while familiar and the options make it a good choice throughout the day. Wazuzu has been around since the property opened. Chef Jet Tila was the original chef and while he has departed the kitchen some of his signature dishes are still on the menu. This is Asian cuisine but it is a combination of cultures much like you might find in the San Gabriel Valley of Southern California. Feel free to cross the cultural divide and experience some really good food in the process. If money was no object this would be a restaurant that would be visited once a month. I am positive it would never get old as everything about the experience is classy, elegant and exactly what special is defined by. If you need a restaurant that defines a special occasion Costa Di Mare has to be it. The seafood program is spectacular and the service is beyond compare. The seafood is flown in fresh from Maui and the setting can range from friendly affair to full-blown romantic. Wynn does atmosphere right with a patio seat at Lakeside in full view of the Lake of Dreams. This restaurant is not in the Encore resort space but instead, you'll find it by walking along the shops and into the Wynn Las Vegas. It feels like one large resort because it is, but there are actually two separate properties that are owned by the same people.